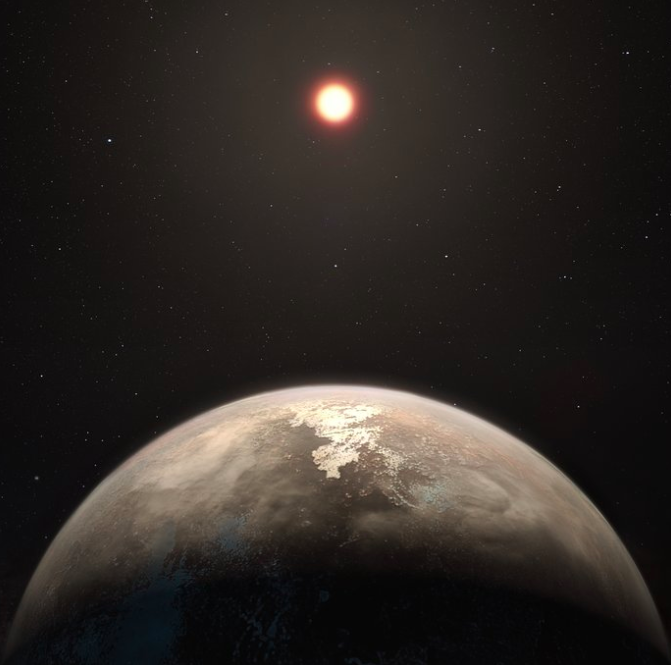 Scientists have discovered an exoplanet quite close to us that is Earth-sized. Scientists are studying whether it could have the potential to host life. An exoplanet is a planet outside our solar system that orbits some star other than the Sun. The planet has been given the name “Ross 128 b”, and it orbits the star “Ross 128”. Ross 128 is currently 11 light-years from Earth, and is moving towards us. (A light year is the distance that light travels in one year – about 6 trillion miles or 10 trillion km.) It is expected to become the closest star to Earth in just 79,000 years. Ross 128 b takes 9.9 days to complete an orbit around its star. Here is a video about it.